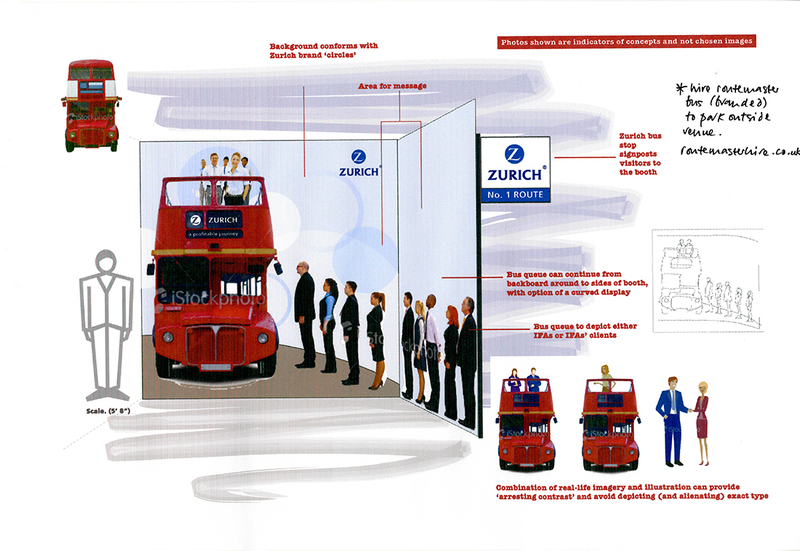 First working in financial services as part of the in-house team rebranding Allied Dunbar to Zurich, Kate has created concepts for Zurich and its subsidiaries (working with Zurich and in-house agency RRD), and for others such as Nationwide Building Society and Chase de Vere. 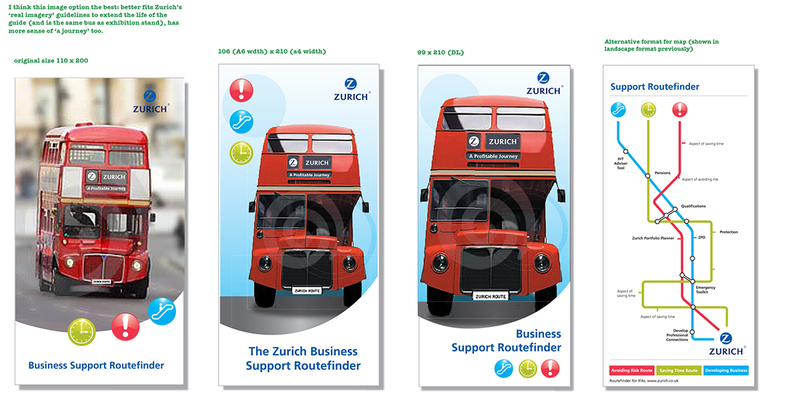 The advert's brief was to encourage Financial Advisers to find out more about Zurich's business protection support materials. Due to local government budget cuts and the increased presence of procurement teams in the tender process, Zurich Municipal were changing to solutions-based interaction with local authorities with the aim of influencing the tender process by educating local authorities about uninsurable risk management, analysing risk and supplying solutions – a marketing approach based on added value rather than cost of the insurance premium. 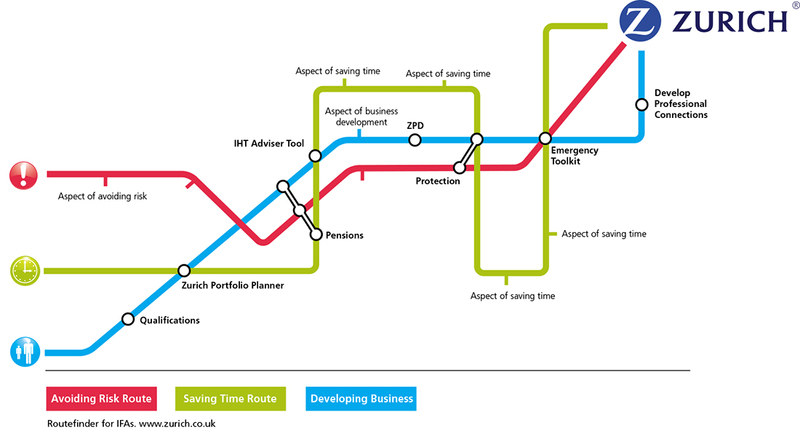 I worked with account managers at RRD Creative to plan the initial strategy for local authority end-clients. 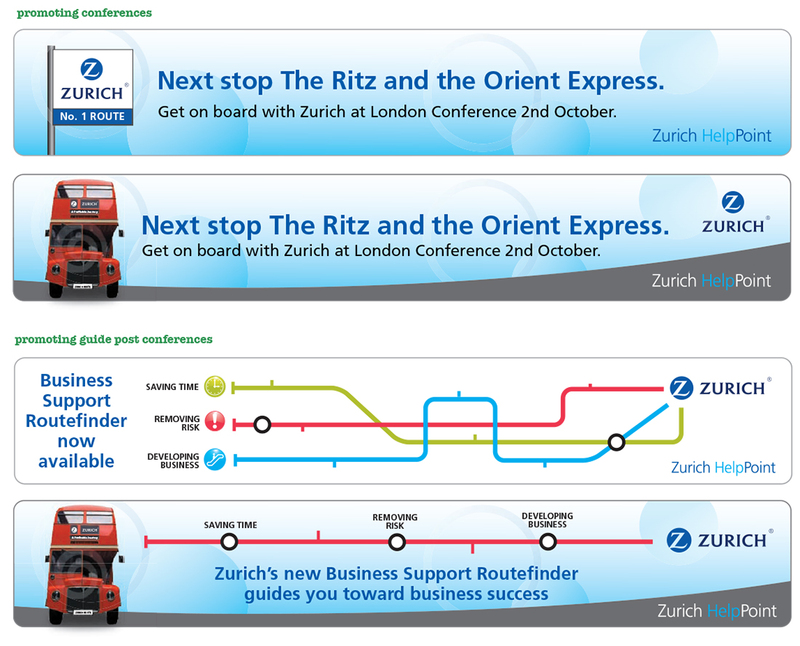 Concepts created for a Zurich campaign – launched at a trade conference – aimed at promoting thier HelpPoint portal to independent financial advisors. HelpPoint advises and guides IFA's through Zurich's offer, the lure was a luxury trip starting in London. 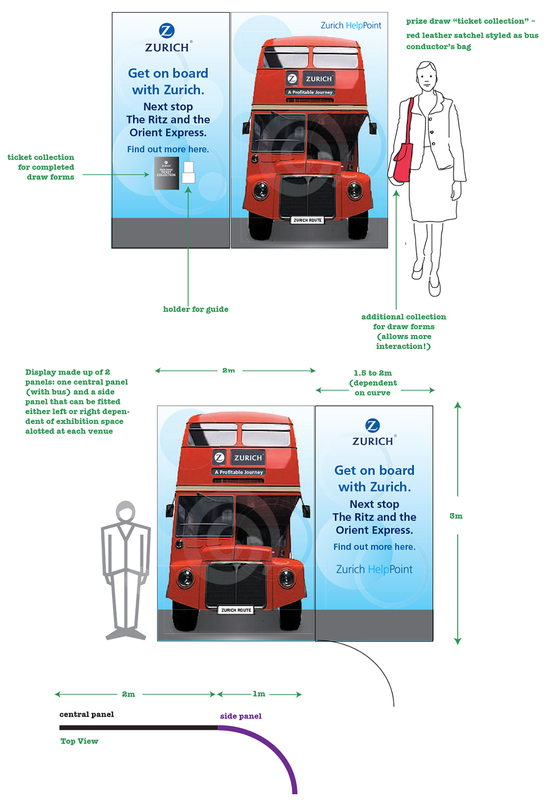 The solutions was based around the routemaster bus and London Transport map – exhibition stand, brochure and web banner adverts, maintaing the Zurich brand elements of circles and 'the smile curve'. Working for RRD Creative to create B2B and B2C integrated campaign concepts for a Sterling ISA campaign aimed at financial advisors and their clients. Origami reflected the flexible, or reshapable nature of the ISA. First, my concepts... and then the pieces finished in-house by RRD.